Our department is one of the first in the nation to offer the Computer Science program. CSE@UB is home to all CS and CE (as a part of the previous ECE) faculty, students and alumni. We are very proud of our heritage and that we have grown into the largest department within the School of Engineering and Applied Sciences. We are equally proud of our alumni and their high achievements over the years, and our many talented students who embody the hope of tomorrow. Our anniversary celebration offers many opportunities to socialize and network with students, faculty and alumni, including a Golf Outing, Graduate Research Conference, and Alumni Symposium. Join us as we celebrate our 50th Anniversary! For those who have grants that cover travel costs, we have created a special event, the 'Emerging Topics in Computing Symposium', which will be held concurrently on September 28th - October 1st and shares sessions with the 50th Anniversary Graduate Research Conference and Alumni Symposium. Keynote speakers for Friday and Saturday have been announced. Robin Li, founder and CEO of Baidu, talks about his time as a CS student at the University at Buffalo. Registration for the CSE50 Anniversary Celebration is now open! CSE50: The Department of Computer Science and Engineering celebrates 50 years! Rooms are now available at the beautiful Buffalo Marriott Niagara hotel! 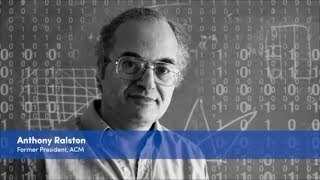 Click here to see our entire timeline of the first 50 years of Computer Science and Engineering at UB. UB assigns us our first home on the Ridge Lea Campus. The Computer Science Department at the University at Buffalo is formed within the Faculty of Engineering and Applied Sciences (FEAS). University course catalogs first describe our Master of Science and Doctor of Philosophy programs. We achieve the ten faculty member milestone. Nick Findler buys a chess-playing graphical computer with NSF funds, beginning a long departmental tradition of incorporating games into our research. William J. Rapaport popularizes the grammatically-parseable phrase, "Buffalo buffalo buffalo buffalo buffalo". Gabor T. Herman develops a world-renowned Medical Image Processing Group from 1969 to 1981. We buy a Digital Equipment Corporation (DEC) VAX 11/750 minicomputer. We take up residence in Bell Hall, placing us in the center of North Campus activity and culture. We achieve the 15 (actually 16) faculty member milestone. Jim Geller (PhD, '88) organizes our first annual grad conference to give our grad students a forum to show off their current research. We achieve the 20 faculty member milestone. Sargur (Hari) Srihari founds the Center of Excellence for Document Analysis and Recognition (CEDAR). We celebrate our 25th anniversary with a banquet and a symposium. The university establishes a multidisciplinary Center for Cognitive Science, uniting computer science with cognitive psychology disciplines. We achieve the 25 (actually 26) faculty member milestone. The Department of Computer Science and Engineering (CSE) is born! The merger accelerates us past the 30 faculty member milestone. Between '97 and '98, we grow from 26 to 33 faculty. Russ Miller founds the Center for Computational Research, the university supercomputer cluster that has the capability of processing 60 billion operations per second. We enter the 2000s with 36 faculty. Shambhu Upadhyaya founds the Center of Excellence in Information Systems Assurance Research and Education (CEISARE). Venu Govindaraju founds the Center for Unified Biometrics and Sensors (CUBS). We convened at the Ramada Hotel and Conference Center to celebrate our 40th anniversary. Davis Hall—Our brand-new, state-of-the-art departmental headquarters. We begin Fall 2015 with a strength of 40 faculty. The Department of Computer Science and Engineering celebrates its 50th anniversary.